Composed by Craig Duncan. Arranged by Craig Duncan. Saddle-stitched, Style, Solos, Folk, Children and Young Beginner. Building Excellence Series. Classical. 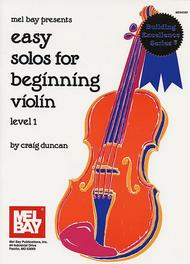 Violin solo book. With standard notation, bowings and piano accompaniment. 39 pages. Mel Bay Publications, Inc #94582. Published by Mel Bay Publications, Inc (MB.94582). This collection of level-1 solos for violin with keyboard accompaniment are taken from folk and classical melodies. 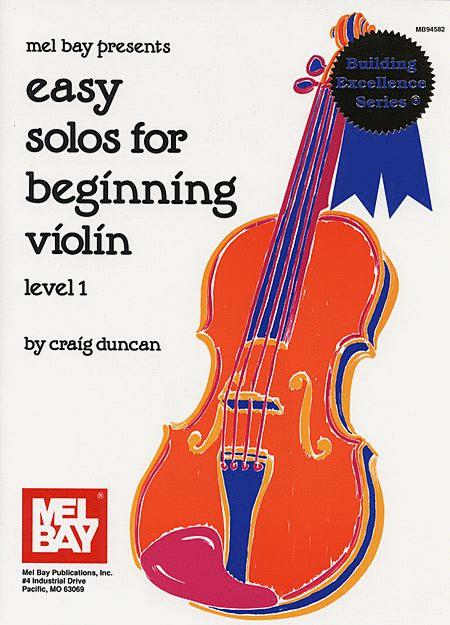 Created especially for use as a solo supplement to any first-year string method or private instructional course, these solos are an ideal Suzuki supplement, and a perfect complement to the other Beginning Violin titles in the Building Excellence Series. These short, easy pieces contain some staccato and slurred notes, with suggested bowings. Students will love playing these familiar pieces for recitals, or just for fun. I love the book for my beginning student. While some songs are still too difficult, they build confidence and interest in practicing. 28 of 47 people found this review helpful. very nice and helpful, and a nice variety of songs. I recommend this one!